The insect believed to be linked to the fast-spreading, highly-publicized Zika virus has been detected in San Diego, health officials confirm, but there have not been any local cases of the disease reported. 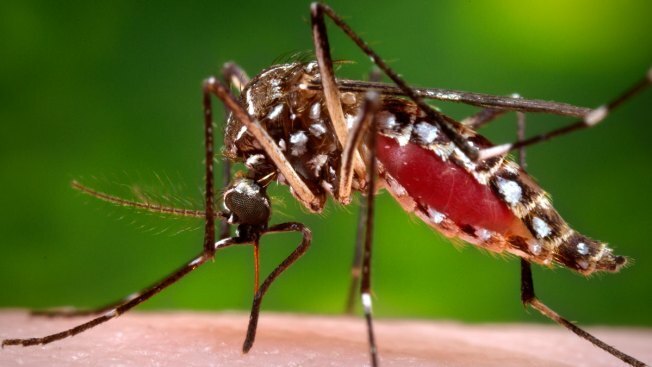 Dr. Wilma Wooten, of the County of San Diego Health and Human Services Agency (HHSA), said the insect – the Aedes aegypti mosquito – has been seen, in small numbers, throughout San Diego County over the past 18 months. The mosquito species, which experts believe transfer the Zika virus, has also been detected in Los Angeles County. Dr. Wooten told NBC 7 on Thursday that the Department of Environmental Health is tracking the mosquito locally. So far, health officials have not found any of the mosquitos detected in San Diego County to be carrying the Zika virus. For now, San Diego County health officials are not testing for Zika. Unless someone contracts the disease locally, Dr. Wooten said officials don’t plan on testing the Aedes aegypti mosquitos for the virus. Dr. Wooten said the mosquitos don’t travel very far. She said only a small number of the insects have been spotted locally. Health officials said the mosquito species is not native to California. The county’s website describes the insect as a dark-colored mosquito with white stripes on its legs and back. The mosquito is an aggressive biter both indoors and outdoors, especially during daytime hours. It prefers to lay eggs in small containers such as plant saucers, buckets and watering cans. Aedes aegypti eggs can survive without water for up to several months. Because of where the mosquitos like to lay eggs, Dr. Wooten said residents should take the time to remove any standing water they may have inside or outside. It’s also smart to wear insect repellent, as a precaution, and be on alert for the insects. Currently, health experts believe the Aedes aegypti mosquito is found predominantly in Latin America and the Caribbean. The World Health Organization (WHO) has said the Zika virus is “spreading explosively,” and will hold an emergency meeting of independent experts Monday to decide if the outbreak should be declared an international health emergency. The disease has been linked to birth defects and neurological problems. Scientists say the Americas could see up to 4 million cases of Zika in the next year. For more information on Zika, visit the Centers for Disease Control and Prevention website here.